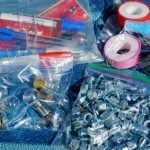 Over the last few months, I’ve collected a fair number of new items for use in our RV. Some are not worth a full-scale review, so I thought I group them into a single post and video. 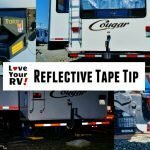 Let’s call them Love Your RV! mini-reviews. I have six for you. 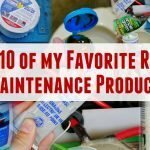 It sort of a hodgepodge of products but all useful in our RVing endeavors. Two items, the LED Road Flares, and the AC filters were provided to me as free samples. The other four things were purchased by myself. Our previous electric heater fell off the dresser and broke. When researching a new heater, I came across the Camframo brand True North compact heater. The features that drew me to it were multiple wattage settings and the anti-freeze setting. The price is higher than some, but the quality is there. 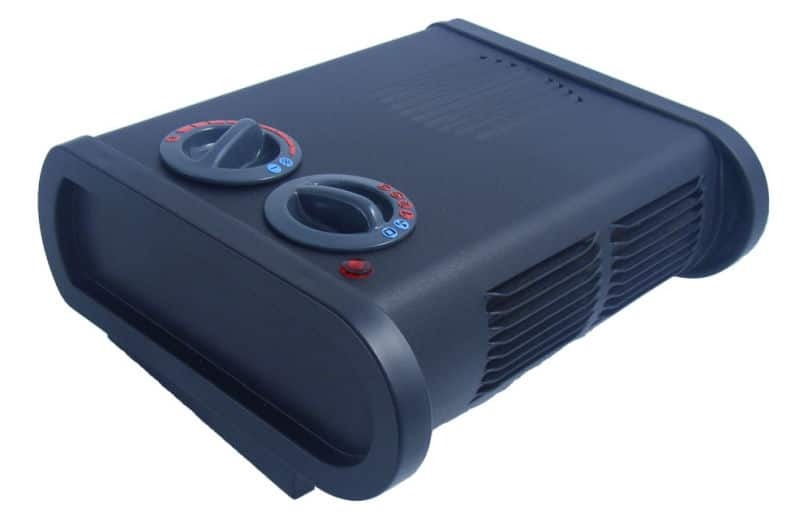 The heater can put out 600, 900 or 1500 watts. I made use of this in my recent Energizer Generator demo. There is also a special setting that turns the heater on when it reaches 38F to keep things from freezing. 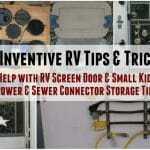 This is useful for RVing in the winter or for storage. Being so low profile the heater is pretty well impossible to topple over. We’ve used for a few months now. 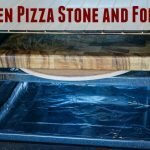 It can put out a ton of heat and is relatively quiet. Comes with a 5-year warranty and Made in Canada! 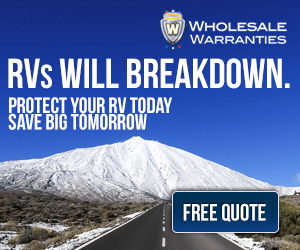 After I did my post and video on RV air conditioner maintenance I was contacted by a company called RV Air offering to send me out their AC filter to test out. My OEM reusable sponge filter was looking a little ragged so I accepted the offer. So far I’m impressed with the filter. The OEM AC filter is a closed cell foam and doesn’t do a great job at blocking fine debris. The RV Air filter blocks out much finer particles like pollen, pet dander, dust, mold spores, etc. This will be helpful for my wife’s allergies and keep the condenser coil from plugging up. 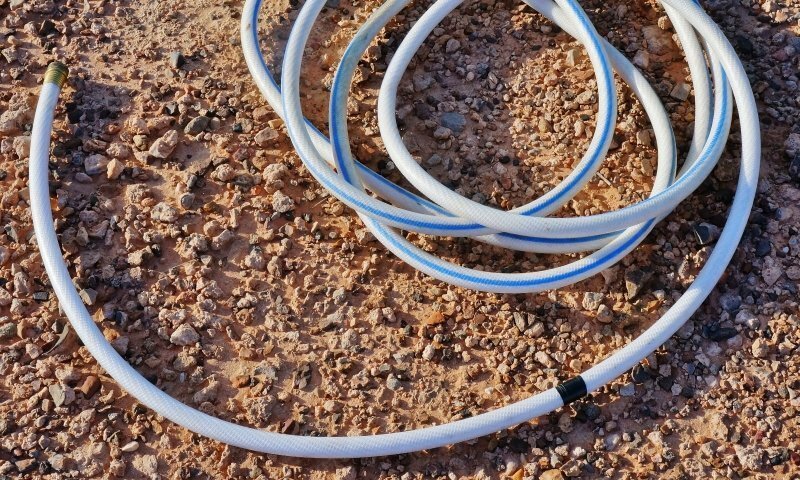 The downside is the filter isn’t reusable and will need to be swapped out with a fresh one every 90 days to 1 year depending on use. Two winters ago while camping near Palm Springs my wife was taking a walk in a rural area made up of farms. She had a scary experience. She was chased by a small pack of nasty dogs on the loose. She wasn’t hurt but extremely shaken. 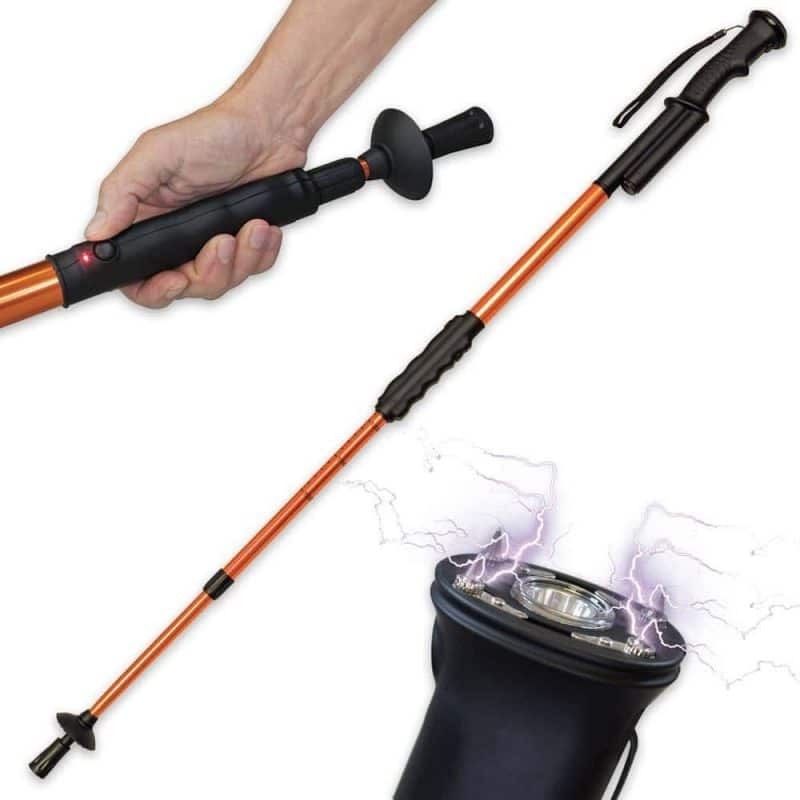 After that, I looked online for some form of protection and found the Hike N Strike hiking pole containing a high voltage zapper. Now she carries the pole along with her. It serves a double purpose. A decent hiking pole and a deterrent to any aggressive animals like wild dogs, javelina or coyotes. The pole is powered by 3 little lithium batteries. When the zap button is activated and pushed it puts out a 950,000 volt bolt of electricity. ZAP!!! Just the sound it makes is enough to scare off most critters. If not it also has sharp metal spikes to jam into the animal’s flesh and hit the zapper. It would be the shock of their life! Note: I researched the Hike N Strike and as far as I can tell it’s legal in Canada since it’s over 480 MM (about 18 inches) long. 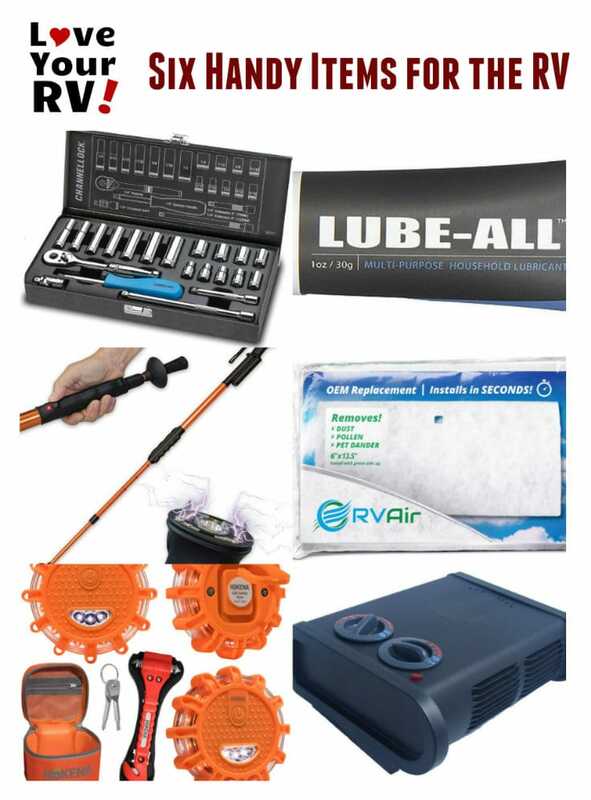 Great general purpose lubricant for around the RV. 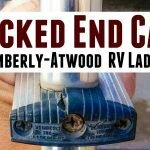 I had been looking for a product to lube our RV entrance door catches and striker plate. For some reason, if we get a lot of heavy rain the door will get really hard to close. It appears the metal parts oxidize or something. Anyway, I’ve been spraying the mechanism with silicone but it doesn’t last. It’s a multipurpose household lubricant that can be used for hundreds of maintenance tasks around the house. 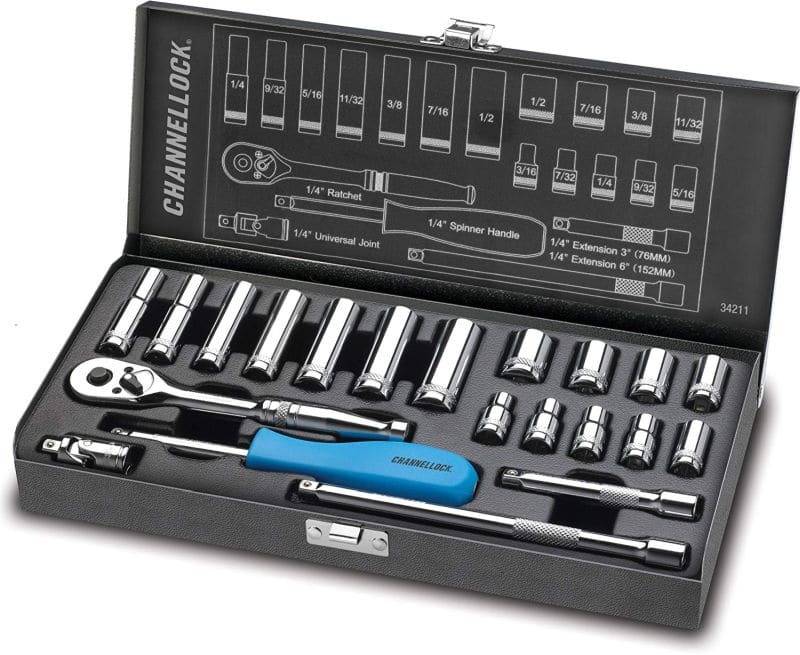 It’s like WD-40 but longer lasting, without the mess, drips, odor, toxicity, expense or in a bulky can. Our Lube-All is packaged in an attractive tube that actually fits in your toolbox or tool drawer so it’s always nearby when something squeaks, scrapes or rubs. – Mark Roper Werks, Inc. The final product I have for you is Hokena LED emergency roadside flares. 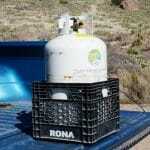 I sure could have used these last fall when our truck broke down, and we were stranded beside a busy highway. Thankfully we carry a set of emergency triangles, and I have reflective DOT tape on the rigs bumper. However, having these Hokena LED flares would have added to our visibly during that dark, rainy night we spent hunkered down in the trailer. 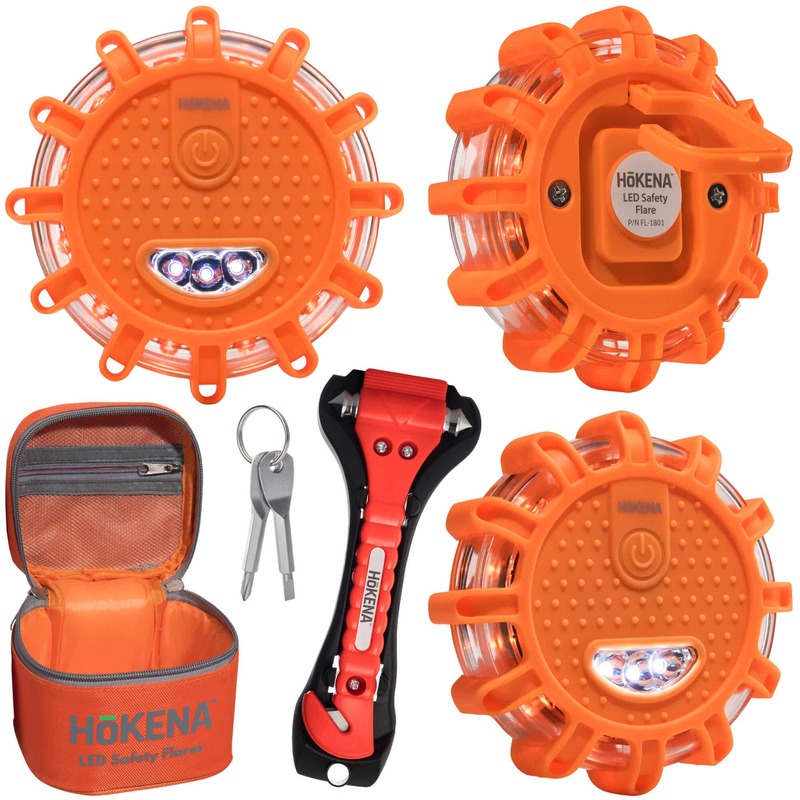 The kit contains three puck-shaped LED flares, carrying bag, and an emergency window breaking/seat belt cutting tool. 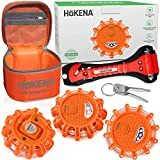 (Disclaimer: This kit was provided to me free of charge by Hokena) They run off commonly available AAA batteries and last anywhere from 10 to 60 hours or more depending on the flash mode. The flares have nine different lighting modes. They also have a magnet built into the back so you can attach them to your vehicle.